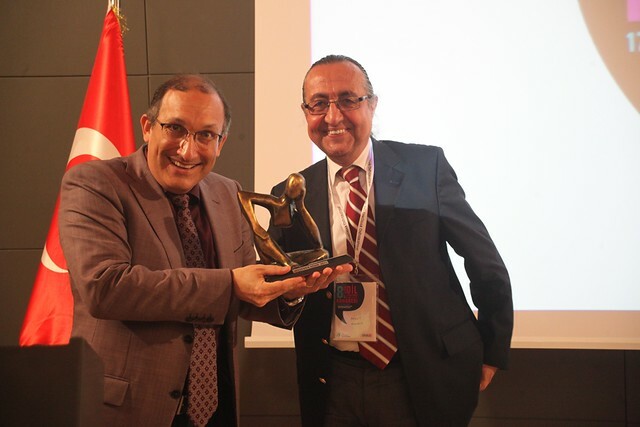 8th National Speech and Language Disorders Congress was held. 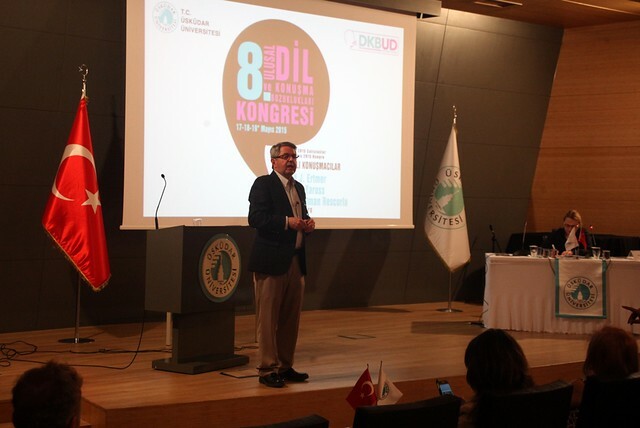 J.Scott Yaruss, who participated in the Congress from Pittsburg University has stated that stuttering is a neurological disease and it affects a person’s life quality directly and deeply. He also stated that "Stuttering people have the feeling of loss of control just like the driver of a car skidding over ice . Stuttering people feel lonely. At this point, the place of therapy groups is of vital importance. 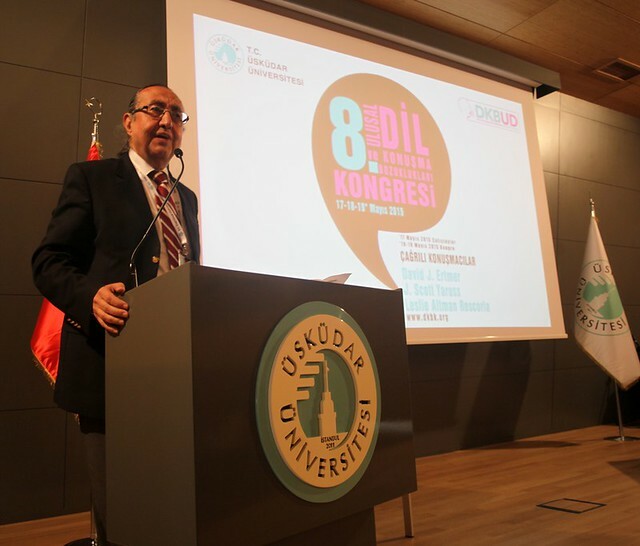 Üsküdar University hosted the 8th National Speech and Language Disorders Congress chaired by Uskudar University Speech and Language Therapy Research and Application Center Director Prof. Dr. Ahmet in Konrot and with the participation of specialists from the Association of Language & Speech Disorders (DKBUD) , specialists in the field and students from different cities studying in the same field. 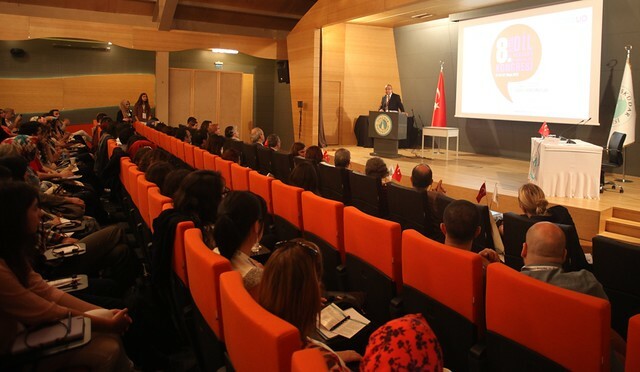 Congress hosted valuable academics who are well-known with their international works and studies from Turkey and from around the world. 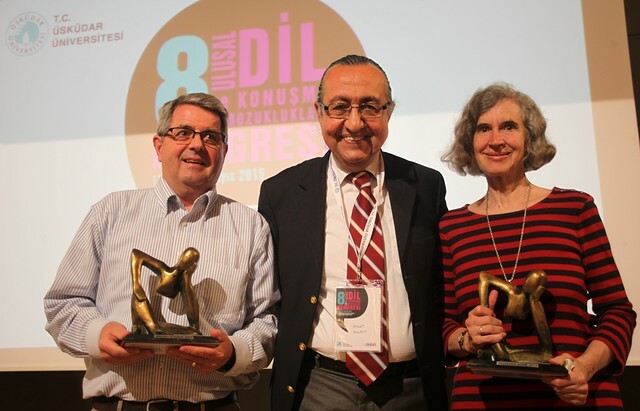 Prof. Dr. David J.Ertmer, Speech and Language Therapy lecturer from Purdue University in the US state of Indiana, J.Scott Yaruss from the University of Pittsburgh and Prof. Leslie Rescorla Altman from Yale University were among the speakers. 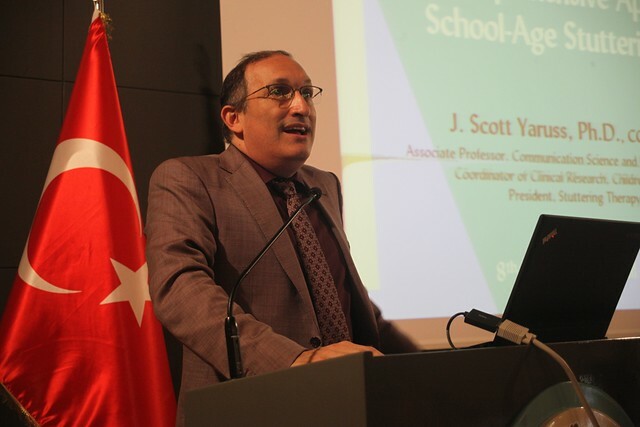 J.Scott Yaruss in his presentation entitled "Stuttering management in school children”, stating that stuttering is a neurological problem that affects all aspects of human life, cast light on the difficulties especially in the life of school children. Yaruss, stated that stuttering can even restrict children's dreams, which is a vital problem that affects the quality of life, it is not just a problem occurring in the speech of them. Stuttering man want to communicate effectively, he wants to express himself thoroughly. As speech therapists, we have to understand, and try to help him in this effort.Therapists should not solely focus on the production but must also reach to the mind of people involved. "Stuttering people have the feeling of loss of control just like the driver of a car is skidding over ice. We should try to understand exactly what they feel at that moment. We try to understand what that child feel and experience at that moment by evaluating various factors such as anger management, reactions from around and so on. Teaching the technique to the child is sometimes not enough, to apply the technique for the child may sometimes be very difficult and the child needs to be aware of that. We apply various methods such as increased timing / tension reduction methods to help the child to accept and recognize his situation and to ease his stuttering without fighting himself, he said.